What is Time of Flight People Counting? People counting is well established as an effective way of gathering data and insights that can contribute to better customer experience. As customer spend increases, on average, by around 40% as a result of a positive experience, there is a tangible benefit to investing in this technology for any business. 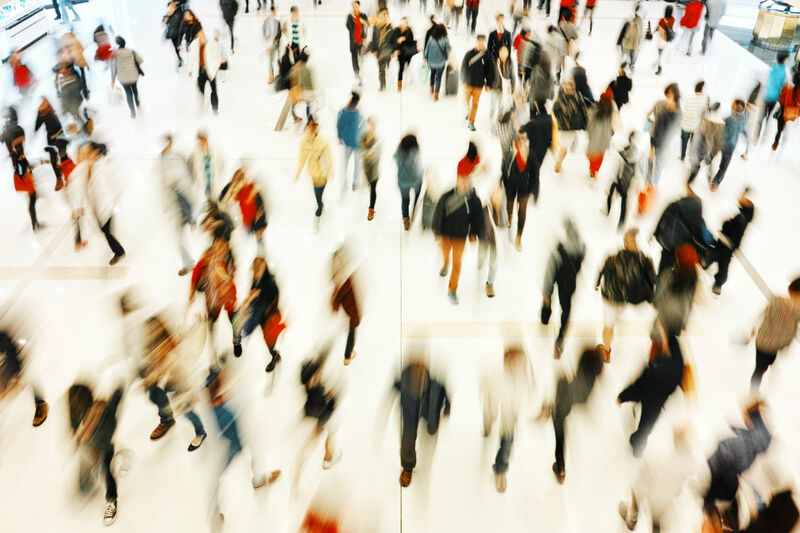 Footfall and people counting systems evolve as technology develops and more opportunities open up to gain more accurate insights – time of flight people counting is one of the latest evolutions of this incredibly useful tech. Time of Flight is one of the most advanced pieces of technology available in the people counting market today. Time of Flight people counting uses sensors to achieve more depth of vision and movement than you might get using other types of people counting technology, such as thermal or stereo. A signal is sent out from a sensor that is fixed to the ceiling above the area to be measured from a small device that is about the same size as a thermal counter. Time of Flight people counting is very simple — when the signal is sent out, the device then records the reflection of infrared that bounces back to the sensor. Using this type of sensor will deliver a more complete picture of retail traffic that is more accurate and in-depth than what many other systems offer. More accurate data. This more complex technology delivers much more precise data about customer movements within your store. Improved performance. More accurate data insights can be used to help improve performance, such as increasing conversion rates in-store. Multiple location comparisons. These advanced people counting metrics enable a comparison of the performance of stores in different locations. Optimising staff scheduling. With insights into peak times and customer behaviours, it’s much simpler to ensure that staff scheduling is both sufficient and efficient. Ensuring your data collection is compliant. Time of Flight people counting is incredibly accurate but doesn’t collect any personally identifiable data. This means your store doesn’t stray into the territory of requiring new processes and systems to handle sensitive or personal data. More accurate and specific measurements. With Irisys Vector 4D™ the detail of the metrics available is deepened. For example, height measurement provides the opportunity to drill down into the demographics that make up your customer base. Dwell time measurement shows how long customers spend in certain sections of the store and is a good indication of how engaging a store layout is, and even how effective your marketing campaigns are. Without this kind of technology, many retail businesses remain in the dark about who their customers are and how they respond to key initiatives, such as promotions or store layout. Inaccurate store data can lead to poorly informed decisions that have a significant impact on performance and growth. But with Time of Flight people counting there is the opportunity to improve the quality of footfall data collected, expand the insights it can provide and enjoy tangible benefits for the business as a result.